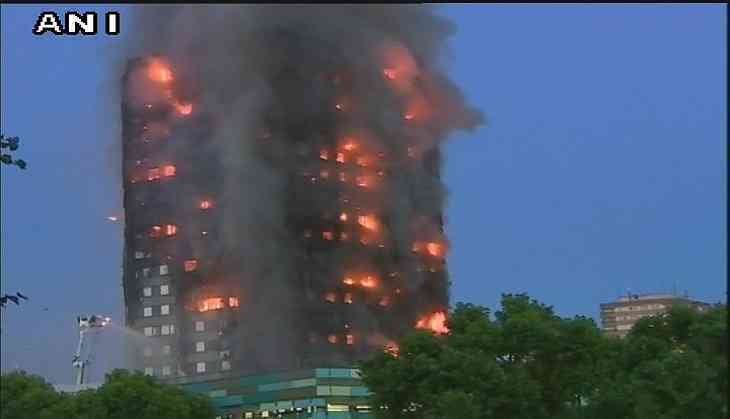 An unknown number of people have been killed and dozens injured in Wednesday's heavy fire that engulfed a tower block in west London, which firefighters are still trying to douse, reports the Guardian. Hundreds of firefighters battled to rescue residents from their flats after the fire broke out at Grenfell Tower on Latimer Road, near Notting Hill as the blaze rapidly engulfed the full height of the 27-storey block. Earlier, London Ambulance Service Assistant Director of Operations Stuart Crichton confirmed in a statement that over 50 patients were admitted to five hospitals across London following the incident at the Grenfell Tower. "Over 100 of our medics are working hard to respond to this incident, including ambulance crews, advanced paramedics, advanced trauma teams from London's Air Ambulance and those staff managing the incident in our special operations centre. In addition, our hazardous area response team are also on scene," the statement added.